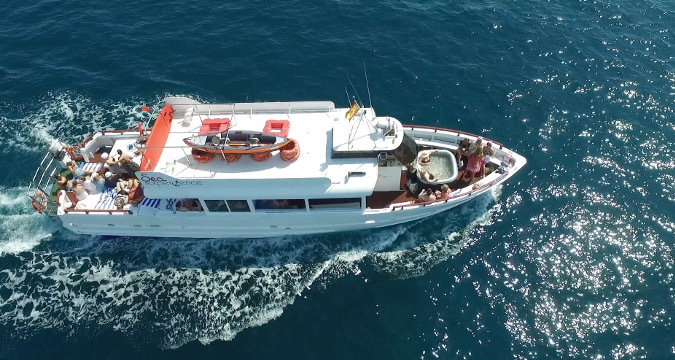 If you are looking for a combination of golf at sea for a group (team building, incentive trip, partners rewards, etc), this is probably the perfect activity for you! 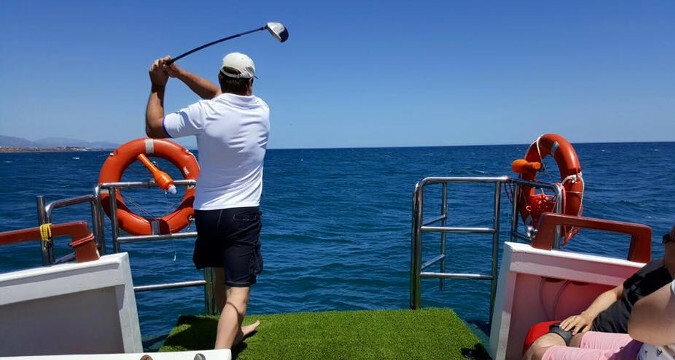 We can organize different types of events on the boat, like golf clinics (for beginners or even more advanced players), free golf practice sessions, demos, etc. 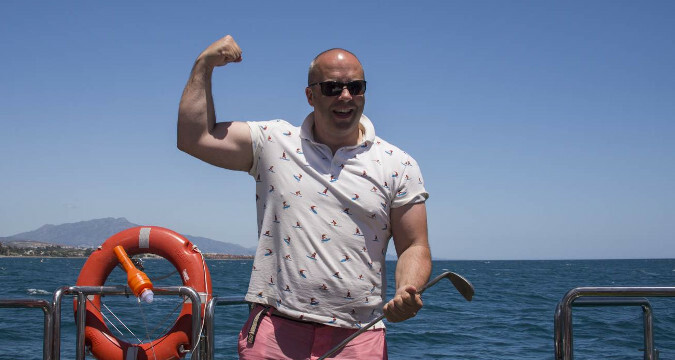 The golf at sea corporate events are made for medium to large group sizes looking for an unusual incentive activity on the Costa del Sol. It can be done both for team building purpouses and for incentives/rewards. Practice and individual coaching + presentation of putting movements on other golf "carpets"
Putting competitions and best swing competitions per team (the teacher will allocate points to each swing, etc). We could even organize another competition besed on the "longest distance shot" (using a special golf radar to determine distances). 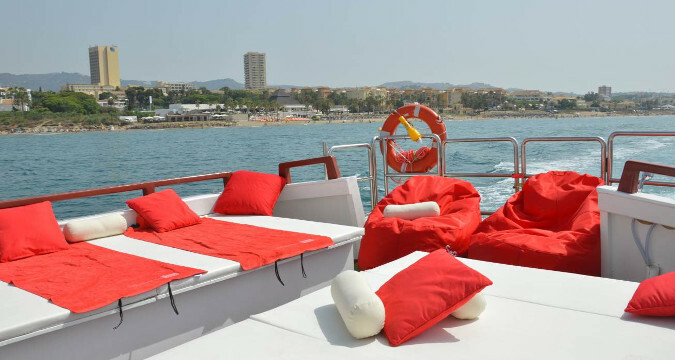 But all our events are fully customizable to your expectations and specs.